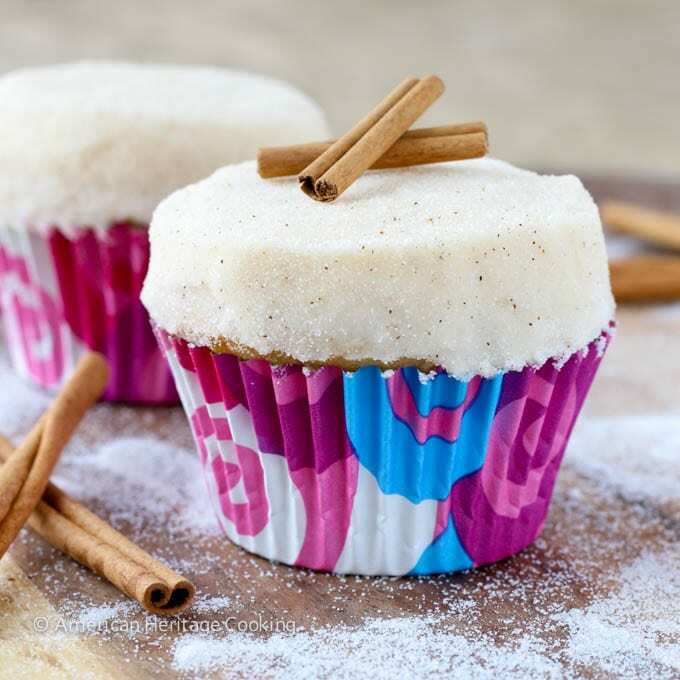 These are the moistest, most delicious Carrot Cake Cupcakes that I have ever had! They have a little crunch from toasted walnuts and the perfect hint of cinnamon! 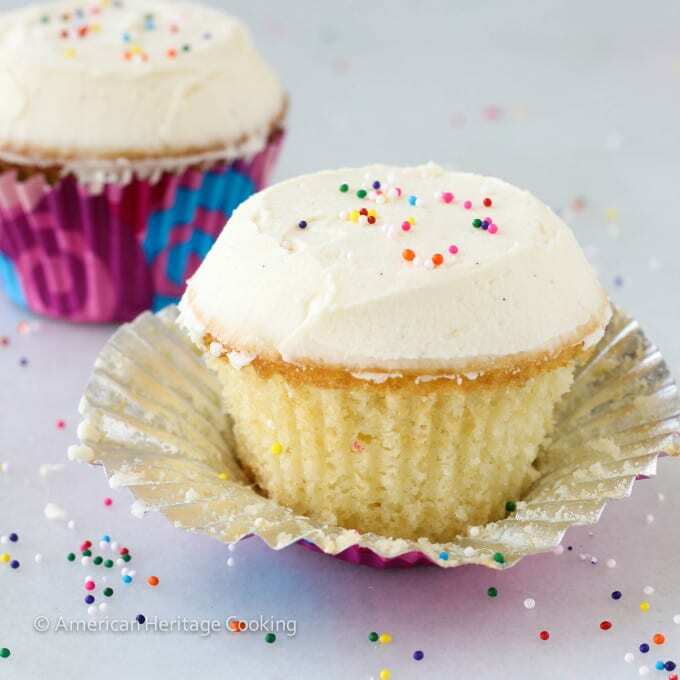 Topped with an impossibly creamy cream cheese frosting they are irresistible! If you’ve been following along my culinary school journey on The Gram, you probably recall the three pictures I posted of a carrot cake that look strikingly similar to these little cupcakes. My husband, a HUGE fan of carrot cake, proclaimed that this was the best carrot cake that he’s ever had! You know I live for some cupcakes! It is the moistest, most tender cake you’ve ever had with a little crunch from the toasted walnuts and a prominent carrot cinnamon flavor. The cake is tender and so moist it practically dissolves in your mouth and is topped with a traditional tangy sweet cream cheese frosting. And adorned with a little marzipan carrot. Adorable. Plus who doesn’t love marzipan? This carrot cake recipe is actually shockingly similar in texture and taste to one I made last year from one of my vintage cookbooks. It tasted divine and the frosting was to.die.for. Why didn’t I post it? Because as I cut into my magnificent 3-tiered cake, I realized my carrots had turned green. Apparently if carrots come in contact with baking soda, they will transform like a Teenage Mutant Nina Turtle into a horrible, sickening shade of green. If you’re really nice to me, I may just post a picture of the green cake in all its glory. Maybe. In culinary school we weigh all our ingredients, because it is 1000x more accurate and at least 234x easier. 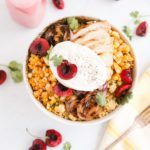 I converted this recipe to volumetric measurements because I love you, but I suggest you dust off that scale in the back of your cupboard and weigh your ingredients. 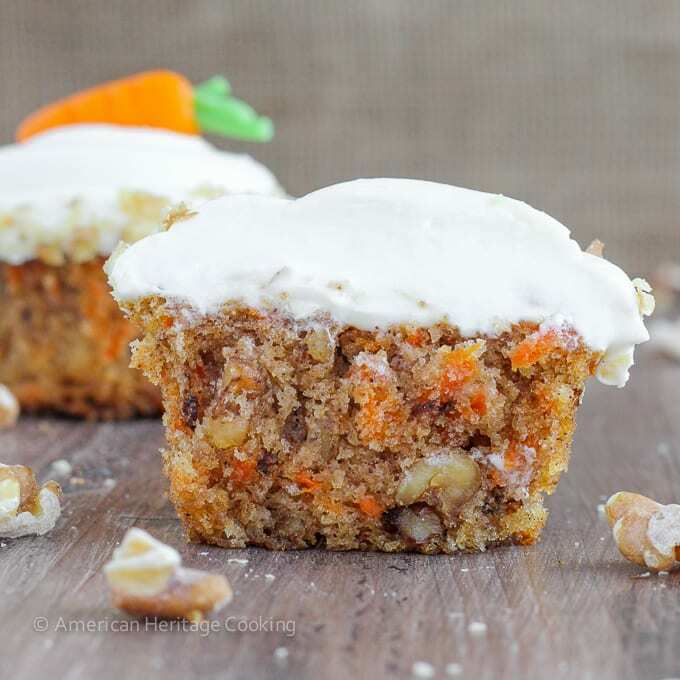 These are the moistest, most delicious Carrot Cake Cupcakes that I have ever had! They have a little crunch from toasted walnuts and the perfect hint of cinnamon! 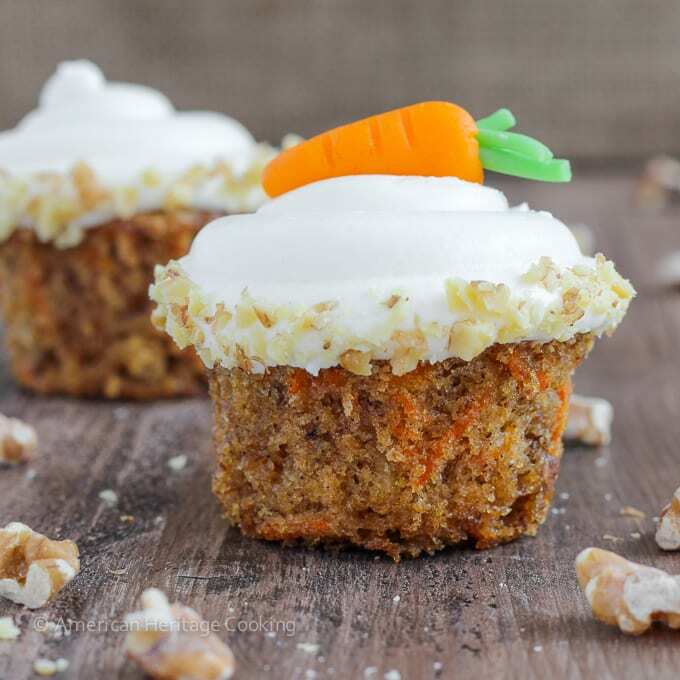 Topped with an impossibly creamy cream cheese frosting and an adorable baby marzipan carrot! Preheat the oven to 350˚F and line 24 muffin tins with cupcake liners. Sift together flour, baking soda, baking powder, cinnamon and salt in a medium bowl and set aside. Add the lemon juice to the vegetable oil and set aside. Squeeze out the excess juice from your carrot; discard or drink it! So healthy! 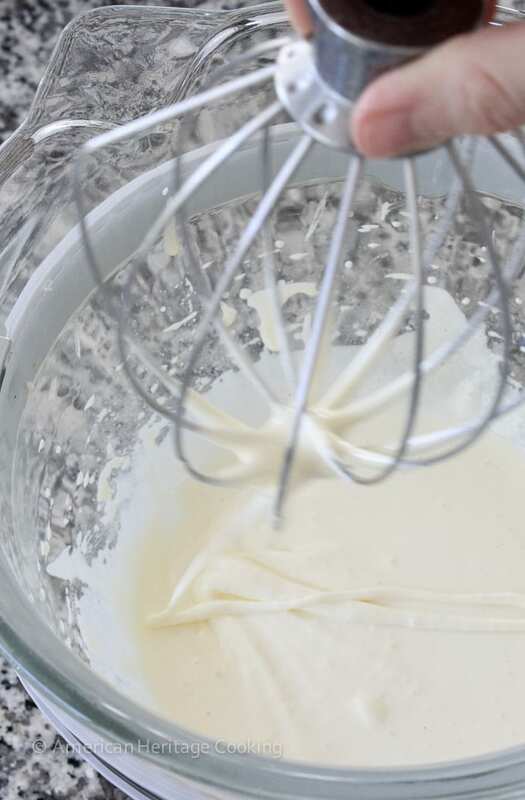 Remove the bowl from the stand mixer and fold in the dry ingredients all at once just until streaky. Fold in the walnuts and carrots until there are no more lumps of flour and the batter is just combined. Please don’t over mix. If you think it’s done, it is. Scoop into prepared tins no higher than ¾ full. You will have just enough batter to fill 24 cups. Bake 18-20 minutes or until a toothpick inserted in the center comes back clean. Cool 5 minutes in pan then turn out onto wire rack and cool upside-down. Yes, upside-down! Let cool completely before frosting. Add the lemon juice and vanilla and stir to combine. Pipe onto frosting using your favorite tip. I used a Wilton 1A. 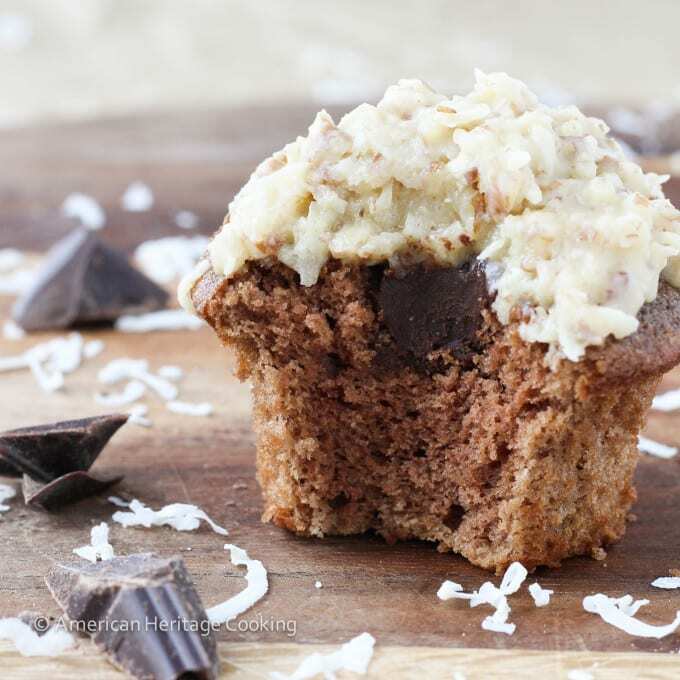 Gently scoop some toasted, chopped walnuts into the palm of one hand and pat them around the edges of each cupcake. Color ¾ of the marzipan orange and ¼ green, by kneading in gel coloring into the marzipan. Shape little carrots from the orange marzipan and mark them with the back of a knife to resemble the lines on real carrots. Make a divot in the top of each carrot. Roll out the green marzipan into long, thin ropes and cut into small pieces. Group several pieces together and press into the divot in each carrot. 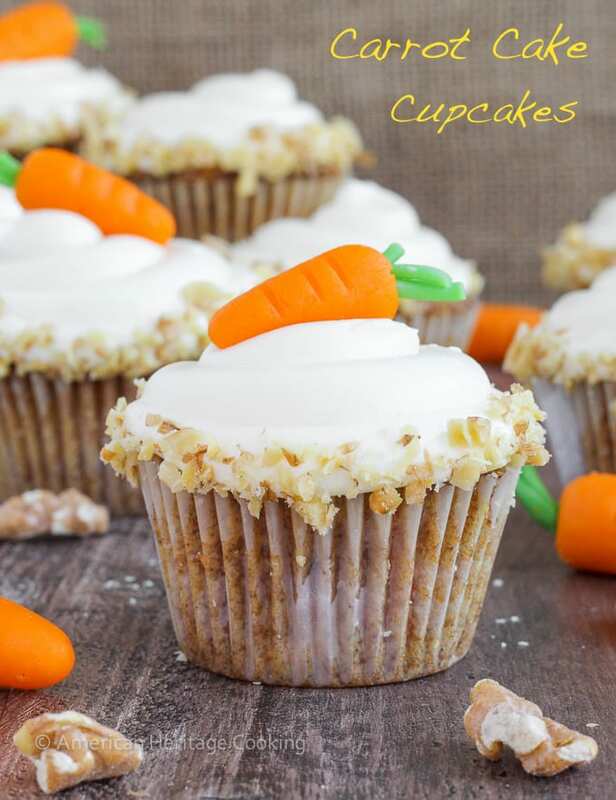 Top each cupcake with a small carrot. Adorable. You can easily halve recipe to make 12. Second- we clearly do need to just go bake in Europe! Done & done! When I actually do bake, I try to measure by weight… it’s crazy how different the measurements sometimes turn out! I wish I had your and David’s crafty “cute” carrot talents… mine would totally come out like a certified pinterest fail! And if I were you, I would have totally held onto those green carrot cake photos and posted it for St Patrick’s Day! People would have probably loved it lol! I am certain that your carrots would be perfectly adorable and Pinterest worthy! It definitely occurred to me to recreate the cake for St Pattys day but it is just so creepy!! Oh good golly, am dripping in drool over here! 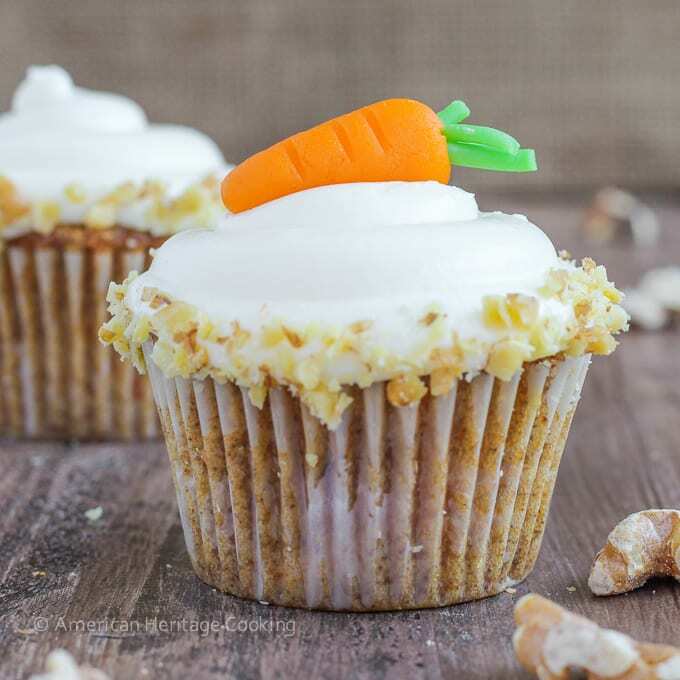 That velvety frosting …ooh…that…crunchy carrot cupcake….good GAWSH!!! 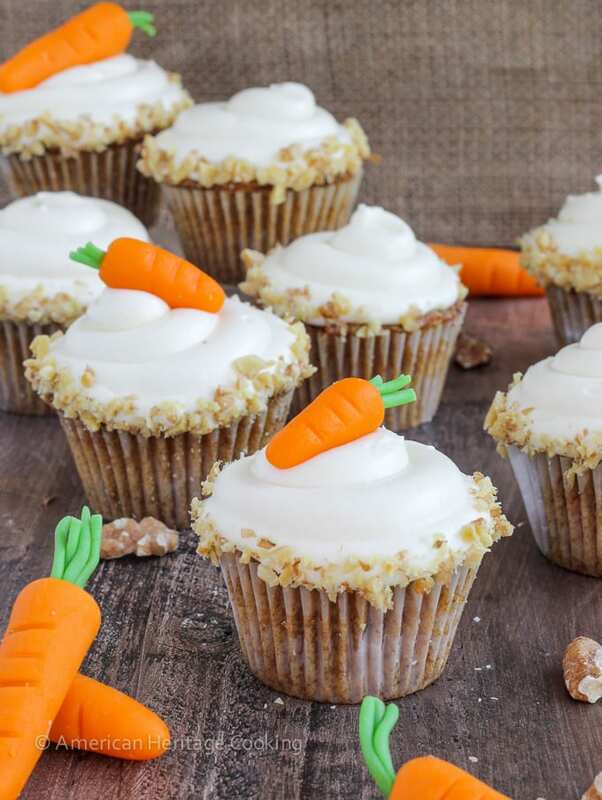 These cupcakes sound delicious and the carrots are super cute! Also, I want to see the green. That is NUTS! Everyone needs a go to carrot cake recipe right?! I’ve eaten way too many dry carrot cakes in my 30 years 🙂 I hope you try it! I love, love, love carrot cake – and it definitely has to have walnuts and cream cheese frosting or the deal is off! I always bake in grams because I am gluten free and converting recipes using grams makes for 1000000x better results than using volumetric measurements. 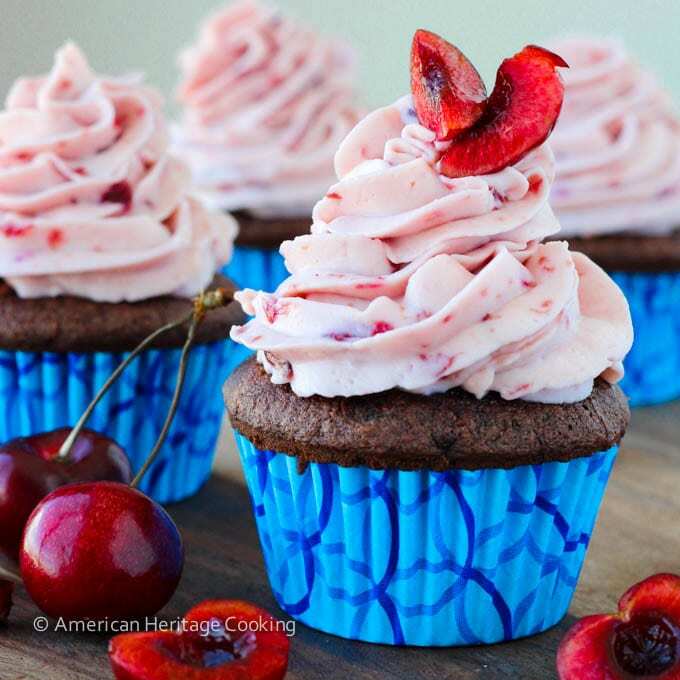 Thanks for making this recipe conversion friendly so I can enjoy some cute cupcakes very soon! What is it about carrot cake?! Any other veggie in a cake would turn be off but I love carrot cake! It’s probably the cream cheese frosting, lets be honest! 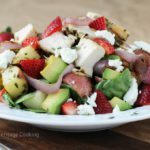 Good luck converting this recipe to gluten free! You must work some magic! Yum! 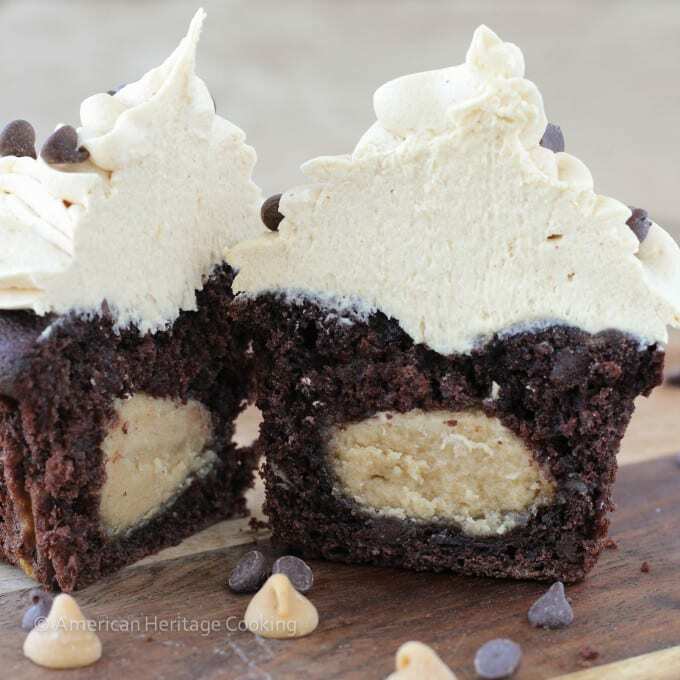 This cupcake looks amazing! I know that this would be love at first bite for me. Pinning. These cupcakes look incredible, Lindsey!! I love the cute marzipan carrot with the toasted walnut rim! And oh my green carrots??? 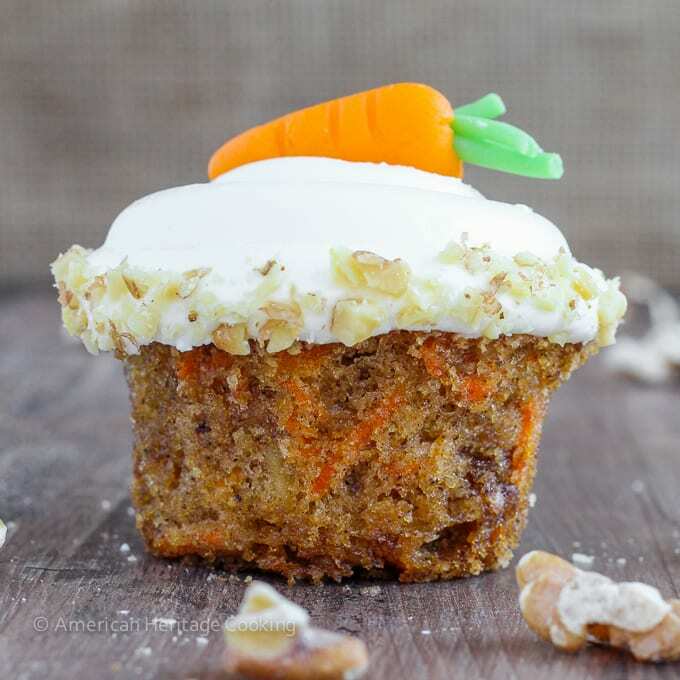 Wow, I had no idea that could happen and would love to see a photo 🙂 My husband is a huge carrot cake fan so I can’t wait to try making these! Thank you, Kelly! I didn’t either and I seriously couldn’t believe it when I cut the cake. It was craziness! I have GOT to make these, Lindsey! They look so moist and, well, cream cheese frosting!!! Those marzipan carrots are just too cute! Hilarious story of the previous carrot cake! Gotta post a photo for us! At least on Instagram! Now I want some! It’s been a while. You got me wondering who you offer your creations to since your concierges back home are not around. I bet they miss you. 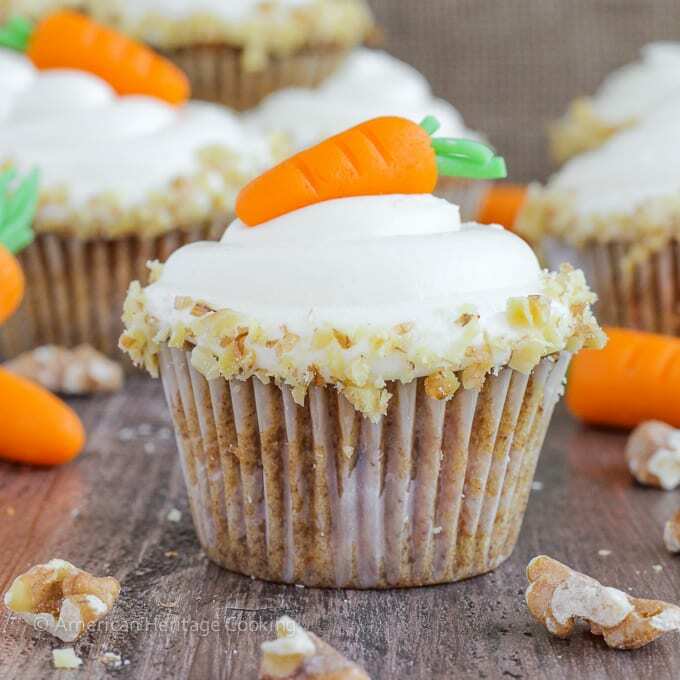 I am sure I would devour these cupcakes, love any dessert with carrots. What other dessert do you make with carrots?! I’ve only ever had carrot cake! Sophie recently posted…Vegan Gluten-free stew with fragrant green lentils & vegan paprika sausage! 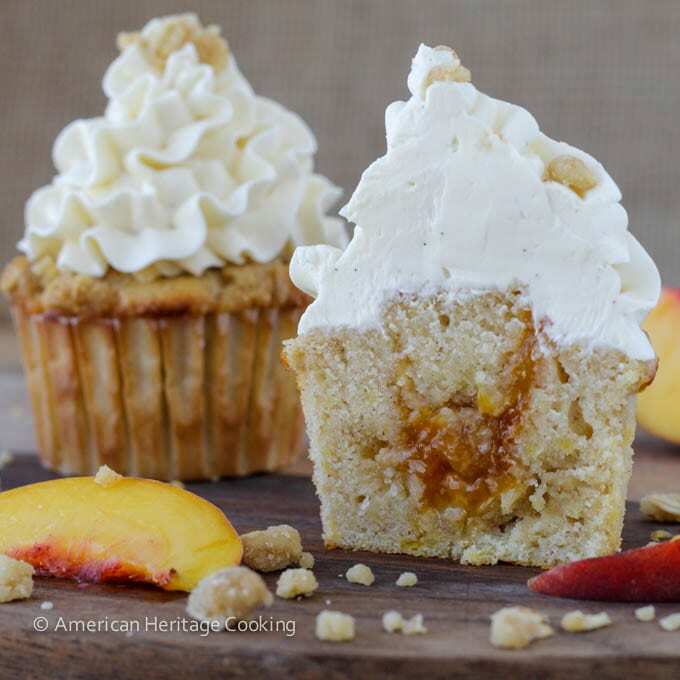 Hello perfect little cupcakes….these are incredible!! You are seriously professional! 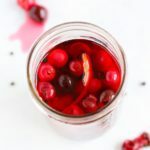 Hooray for culinary school recipes – can’t wait to try this one! I’m a huge fan of carrot cake! I didn’t know carrots turn green when the contact baking soda. Wierd! It was a total weird science moment! I used your recipe for my husband’s birthday cake. It made a beautiful 2 layer square cake. I followed your recipe exactly except for baking about 7 minutes longer. It was delicious. The entire family loved it. My first carrot cake. Next time I’ll do the cupcakes. It was pretty easy. I really dislike box mixes and store bought cakes. Thanks for the deliciousness. You are so welcome! I am so glad you liked it, Glenna!!! I don’t like box mixes either. 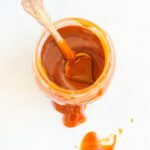 All the additives that make it “foolproof” and from scratch always tastes better anyways! I am very impressed that you made a square layer cake – I find those much more challenging to frost than round ones. Happy baking! For the cream cheese frosting 1/2 cup butter(2 sticks). 1/2 cup butter is (1 stick). Also, you have salt listed in the instructions but don’t have salt listed in the ingredient’s list. Hi Jackie! Thank you so much for catching that! It should be 1 cup of butter! I will fix both right now. Great catch! Hi Candace, I tried to add you but it is telling me there is an error with your email address. I tested one of my email addresses and it worked. Perhaps you typed it incorrectly? I would love to add you but it is not letting me! These sound amazing! But I noticed that you are including baking soda in this recipe and now I”m worried that my carrots are going to turn green!!!!! Hi Angela! Well I have been there…the beautiful cake that you cut open only to find has turned green. Unless you want a flat cake or you use an egg-foam, you need to use baking soda or baking powder, which contains baking soda. As long as you whisk the soda into the flour to disperse it, you will not have a problem. I’ve made this recipe half a dozen times and have never had a problem. Also we made it in culinary school and no one, in my class of 20, had green carrots! 🙂 Happy baking! Hi! I’m looking at making these for Easter and I noticed that the cup/gram measurements for flour don’t quite match. I MUCH prefer to measure by weight (so much more accurate! ), but thought that 190 grams looked low for two cups of flour. I’d be using pastry flour, if that makes a difference. Thanks so much! Hi Joanna! My original recipe is by weight so I know the gram measurements are correct. I use pastry flour as well for this recipe and the 190g is for pastry. I basically scaled out the flour and the scooped it into cup measurements. I would have to do it again to double check. 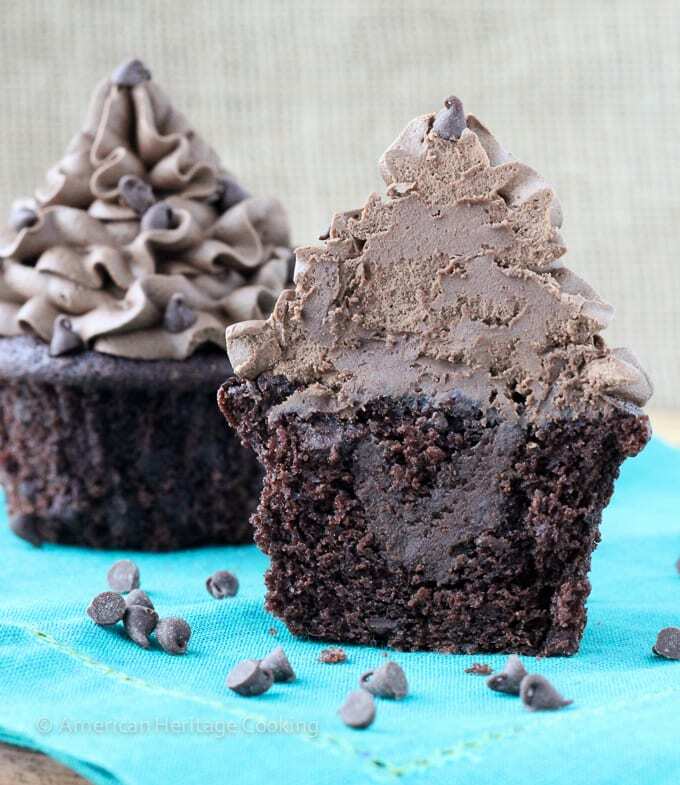 You will love these cupcakes! Try to find “horse carrots” if you can…they are bigger and they taste way better than the ones you buy in the bag at the average grocery store. Happy Baking! Beautiful carrot cupcakes! I would love to get the recipe by weight. Do you think you can email it to me? Also, where do you get your marzipan? Thank you! Hi Rosemary, The recipe is already converted into weight in parenthesis. I buy it at a grocery store in NYC. I’ve also made it. It’s also generally found in cake decorating supply stores. Happy baking! Does this recipe called for salted or unsalted butter? Does it make a difference? I always use unsalted butter when baking and cooking because then you can control the amount of salt in the final product. Different brands use different amounts of salt and it is impossible to know how much you are using! Hi I just had some questions is it possible to add pineapple and coconut to these cupcakes? If so how much of each to add? Sure! I haven’t tried them with either, so I am not sure. I would squeeze the pineapple to get rid of any excess juice or they will make the cupcakes soggy in places. I would probably try 1/4 cup coconut and 1/2 cup diced pineapple but it’s entirely up to you and your taste! Standard recipe abbreviations are “t” for teaspoons and “T” for tablespoons. I’ll spell it out in the recipe though, it’s better. Thanks for the question! Do you need to store these in the refrigerator? I would, Amy. Happy Baking! I made these for Easter and they were a huge hit. Thanks for the great recipe! They are not overly sweet and the frosting is divine. I did everything as directed except I added an additional 1/2 teaspoon of cinnamon and I got lots of compliments on the cinnamon flavor. I also elected to just sprinkle walnuts over the top vs. on the sides. They looked adorable! I made this today for an early Easter celebration, I cut the recipe in half (which you indicated can be done) and it was a complete fail. The cupcakes sank I’ve never in all my years of cooking or baking had something turn out so horrible. 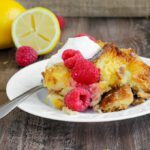 I’m thinking this is a recipe that really can’t be cut in half or maybe it’s a hit or miss. Either way all 12 cupcakes went in the trash and I was out a dessert. Everyone had a laugh at my Pintress fail. Well I’m sorry you had that experience, Jennifer. I know it works in half because that is how I made these cupcakes…I don’t need 24 cupcakes hanging around! 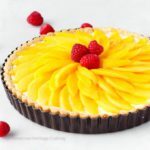 This is a trickier cake recipe than others because of the egg-foam, so challenge your friends to try it instead of laughing! The only suggestion I can offer without knowing exactly what happened is that you need to be super gentle with the batter. 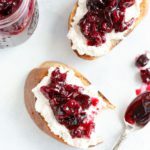 It is partially leavened by whipped eggs and so you need to preserve as many of those bubbles as possible. Hi Tammy, If they sank then they were underbaked. This cake is harder to tell than most when it is done. Make sure you use a cake tester and err on the side of baking it a little longer. Happy baking! 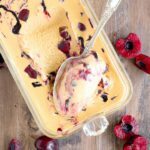 I remember seeing you on Behgopa’s blog so when your recipe showed up in my search, I had to try your version! And wow, this cupcake is soooo fluffy and moist and not too sweet! Behgopa and I are old blogging friends! She is one of the first blogs I followed. 🙂 I’m so glad you liked it!!! I measured out 190g of ap flour and it looked like there was too little to make 2 cups. So I used the spoon/level method and measured what I got and it came to 270g. Do you think there’s that much of a weight difference between ap flour and pastry flour?? Hi Heather! You have just demonstrated the problem with volume measurements! As a quick reference, I use King Aurther’s Flour’s conversion charts. They have 240g for 2 cups, and, yes, 40g is a conceivable difference in weight between pastry and AP. I hope you enjoyed the cupcakes! I spooned/leveled a second time and weighed my results and it was 250 this time. I feel like that is more accurate for ap flour. Beautiful cupcakes! 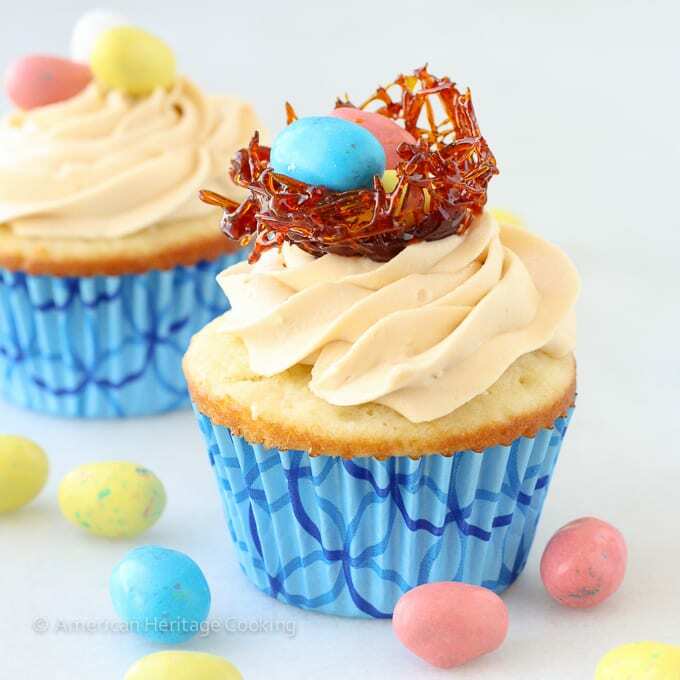 Thank you for sharing..I just made these for Easter and I am a bit bummed because I followed your recipe to the T, but after baking, my cupcakes aren’t orangey/brown they are golden…is there an ingredient missing in the recipe? Brown sugar or something? Anyway I’m sure they will taste fantastic! Thank you! Hi Tonya, There isn’t an ingredient missing in the recipe. The only orange bits of the cupcakes are the actual carrots. Mine were a golden brown inside as well. Do keep in mind that I do edit my photos and that can darken the colors a bit. I hope the flavor was a hit! Happy baking! Hi I just made these and they came out really great!! I didn’t have powdered sugar (sucrose) but did have powdered dextrose which is just a tad less sweet but still powdered so the texture is perfect. 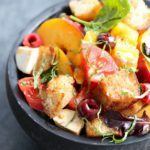 Awesome recipe, [email protected]!Q!